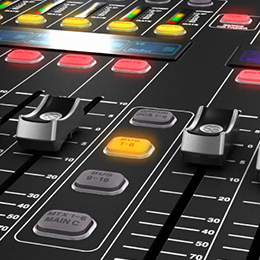 The ground-breaking M Series developed by leading console manufacturer MIDAS, is experiencing a flood in popularity amongst audio professionals in the United Kingdom. As a result, MIDAS has today revealed plans to rocket availability of the Series by appointing Electrovision as an additional UK dealer. Based in Merseyside, Electrovision have a long-standing relationship with MIDAS’ parent company MUSIC and now add to an already impressive line-up of products from TURBOSOUND, TC ELECTRONIC, TC HELICON, BEHRINGER and BUGERA. 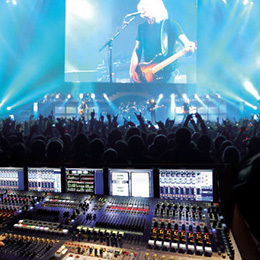 “MIDAS’ expertise in making affordable, rock-solid and reliable consoles is unrivalled, so having the M Series is very important to us and will allow our customers to enjoy the ultimate mixing console experience,” commented Kevin Roche of Electrovision. “MIDAS’ success is in its award-winning PRO Series preamplifiers, advanced digital technology and industry-leading ADC and DAC converters. This isn’t just a good mixing experience, it’s what we call a luxurious mixing experience: that’s why MIDAS is the epitome of excellence!” comments Uli Behringer, Chief Disruptor of MUSIC.